Kapil Sharma is once again ready to make the audience laugh with his jokes and antics. His new show Family Time with Kapil Sharma is ready to go on air on March 25, 2018. The new show will be replacing the show Super Dancer Chapter 2. Kapil Sharma’s show will be inspired by The Hollywood Squares which will be showcasing a mix of games and comedy. The comedian had earlier hinted about his return with the poster of his new show but now the audience also knows when they can get a chance to be entertained by the comedian himself. The new show by Kapil Sharma will be a little different from the one that he did earlier. Reports say that the channel Sony TV and Kapil had met and discussed on the upcoming show. 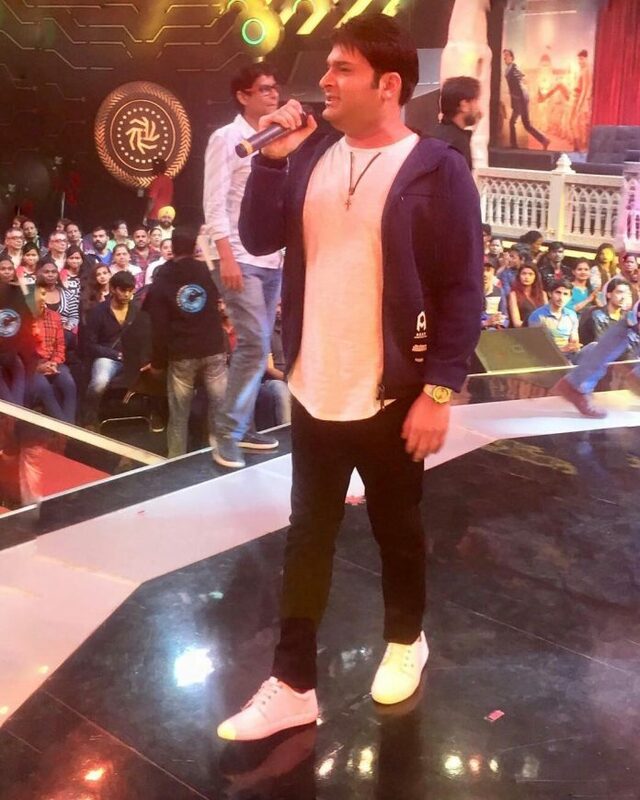 Kapil is now fit and fine and is ready to entertain the audience in his own style. The makers recently shot for the promo which is just an announcement but a full on will soon be shot after things are finalized. About Sunil Grover, he will not be a part of the show but the remaining cast will be a part of the series and the audience can expect a few new entries as well. Kapil in an earlier interview expressed, “I am deeply touched by the warmth and love the audience has showered on us over the years. It’s their belief and undying devotion that encourages us to continue to reinvent ourselves and bring smiles to every household week on week. I am grateful to Sony Entertainment Channel for believing in me and our show and supporting us in creating and bringing unlimited entertainment to every household every weekend.” The comedian had called off the show citing health issues with a promise that he would soon return with a new show after he recovers.